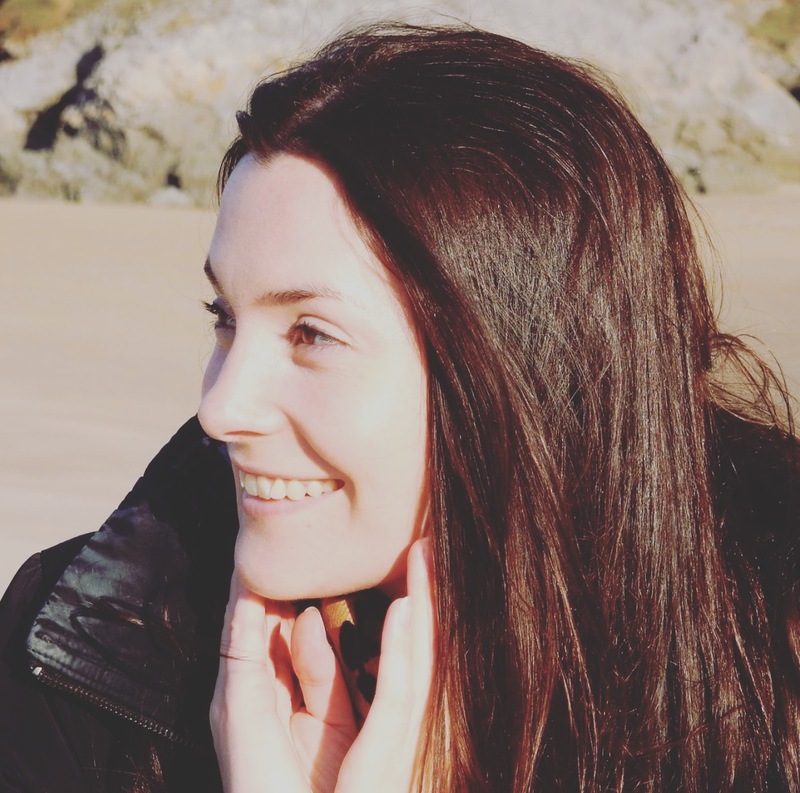 A lifestyle blog written by a Welsh lady living in Wales. What's the first thing you think of when someone tells you they've visited London? There are so many iconic landmarks and attractions which are synonymous with London, so you can imagine my surprise to discover that a trip to the big smoke would reveal the hidden beauty of Syon Park. Syon Park lies on the banks of the river Thames, in Brentford, South West London. We recently visited during a mini heat wave, and it was so green and beautiful! The park surrounds the London home of the Duke of Northumberland, which is one of a handful of stately homes within easy reach of central London. Syon holds a huge diversity of habitat and wildlife in a relatively small area. It is part of a larger expanse of green space, including Kew Gardens and Richmond Park, connected by the river Thames. It was a fantastic place to take photos because there was so much variety, and the gardens are well kept yet natural. There were certainly plenty of photo opportunities! It was quite a novelty being directly under the flight path to Heathrow, but it was (unsurprisingly) rather noisy too. Planes flew overhead approximately every 90 seconds. Our visit would have been peaceful and private, had it not been for this, but don't let this put you off because it's a lovely place to visit. We took a stroll through the Great Conservatory and admired the beautiful grounds, enjoying the sunny weather. Our visit to Syon really made us forget that we were in London. Oblix is located on the 32nd floor of the Shard, western Europe's tallest building, and it's an unforgettable experience. If you're planning a trip to London then this is definitely something to add to your list! We arrived on a drizzly Saturday afternoon, keen to get away from the rain and enjoy lunch with a view. After my bag had gone through an x-ray machine, we zoomed up the non-stop lift to the 32nd floor and turned left to the restaurant's entrance, where we were welcomed by the receptionist. Our coats were taken to the cloakroom and we were taken along a dimly lit, Aztec-style corridor. As we were led through Oblix's bustling open kitchen and past the tables of other diners, we couldn't help but say "wow" as we saw the view. Our table was right by the window, and there was no denying that the 32nd floor of the Shard makes for an impressive venue for lunch, even if the weather was grey and gloomy. For the first 5 minutes or so we just sat there, mesmerised by the awesome view. It was pretty cool, but also rather distracting! Once our concentration levels had resumed, I checked out the tempting cocktail menu. I ordered a Pink Cadillac, which came complete with a sprig of lavender, while David enjoyed a glass of red. We decided to go straight to the mains as we were hungry after travelling all morning. I ordered the salmon with salsa verde, accompanied by a side of orecchiette pasta, asparagus and broad beans. David had the sirloin steak with hand cut chips and warm bread and butter. We waited for quite a while, and by the time our food arrived, my cocktail had long gone. Lunch in the sky is a fun experience, and it was fascinating to see the trains coming into the station below, marvel at the number of boats going up and down the Thames, and spot the famous landmarks like Big Ben and St. Paul's Cathedral. We had room for dessert, so I ordered the yogurt panna cotta with peach, verbena and berries, and David ordered strawberry pavlova & elderfower sorbet. Our desserts were light and summery...unlike the weather outside! If you're thinking of dining at Oblix then you should make your reservation at least 2 weeks in advance, as it books up quite quickly. The booking policy stipulates that you're unable to request a table by the window, however, if there are just two of you then you've got more of a chance of getting one as the majority of the tables by the window are for two diners. Also, you may want to consider having a late lunch; we booked our table for 2.30pm, and we had no problem with getting a table by the window, and we practically had the restaurant to ourselves towards the end of the meal. After our meal, we popped over to Ting Lounge at the Shangri La Hotel, just to see what it was like. The views were just as impressive! Our visit to Oblix was certainly a special occasion, and I would recommend it if you're planning a visit to London. The service was a little slow and whilst the food was great, we both agreed that it wasn't the most amazing meal we'd ever had. However, the views are simply spectacular, and it's worth taking a trip there even if it's just to sample one of their lovely cocktails. Oblix, Level 32, The Shard, 31 St Thomas Street, London SE21 (020-7268 6700). Cocktails, cake, and a catch-up! A weekend away with the girls is one of my favourite things, especially when you haven't seen each other for a while. On this occasion, we stayed at the Doubletree by Hilton Cadbury House, a four star boutique hotel and spa, near Bristol. Check-in was smooth and efficient, and we were each welcomed with a warm chocolate chip cookie (I wish that all hotels did this!). The layout of the hotel was a little bit confusing at first, but we soon found our way around and settled in very quickly. 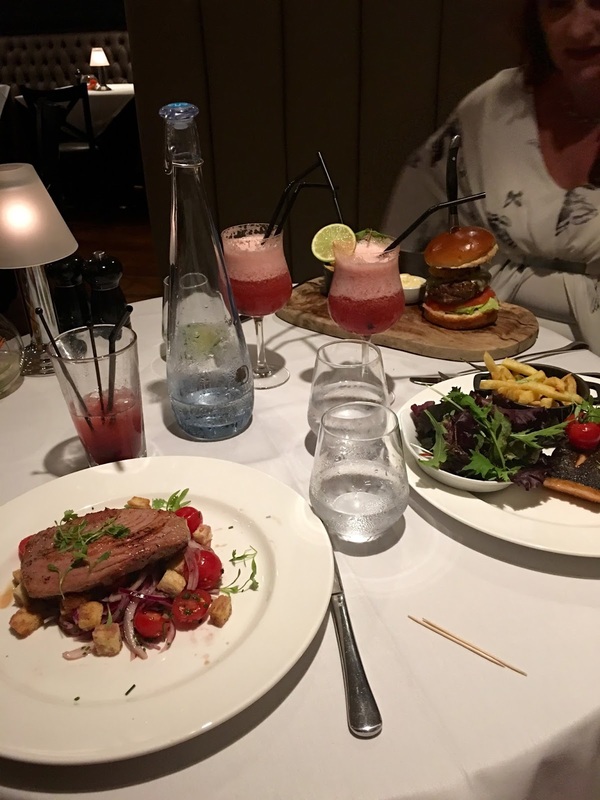 During our stay, we enjoyed a lovely afternoon tea, dinner at the Marco Pierre White Steakhouse Bar & Grill, and a leisurely breakfast (checkout was at 12 midday, so there was no major rush). The hotel really has everything you need for a mini break, and we didn't want to leave! The food and service was excellent (we ordered the tuna steak, cheese burger, and salmon), and the restaurant and bar area has a modern and luxurious finish. We loved the 2-4-1 cocktails! We enjoyed exploring the hotel grounds and lake, and appreciated the quirky touches...especially the life-size model of a cow, which you can climb on (if you want to!). The hotel has a gorgeous indoor pool, outdoor hot tub, sun deck, relaxation room, gym, salon, and fitness classes are also available on site. The hotel staff were very helpful and friendly, and we loved the free on-site parking. This hotel has everything you need for a weekend away with the girls, but it's also great for a special occasion, or a romantic retreat. We can't wait to go back! You, Me and the Sea! © Welsh and Wonderful | All rights reserved.